My Wild Flag is an international dance and choreography festival in Stockholm between 7:th – 10:th of September 2018.
classical Arabic music, ”To Catch A Terrorist”; investigates vision planes and visibility in relation to the emergence of non-Western subjects in public discourse. Opera House (Syria), Hebbel Am Ufer (Germany), ImpulsTanz (Austria), The Silahtaraga (Turkey), MoMA PS1 (USA) among other venues. The company’s first production High Voltage was awarded First Prize for Choreography, leading the company to premiere yearly its work at Cairo Opera House between 2004-2010. 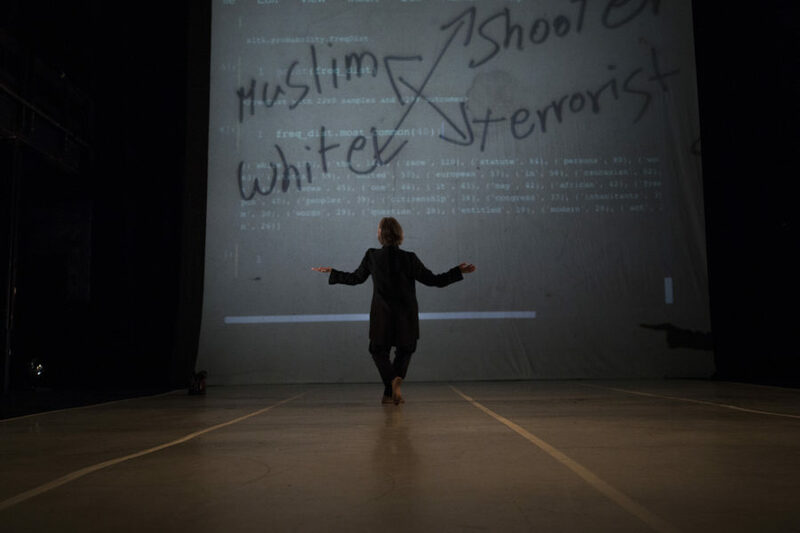 Lately, the company’s production 2065BC was commissioned by Hebbel Am Ufer Theater and To Catch A Terrorist premiered at the Tony award winning La Mama Theater earlier this year in New York City. Cairo, Jerusalem, New York, and Napoli, as well as arts institutions like La MaMa and the Wexner Center on the creation of inclusive and resilient communities.